I’ve pre-empted my regularly scheduled programming to bring you this important public service announcement. 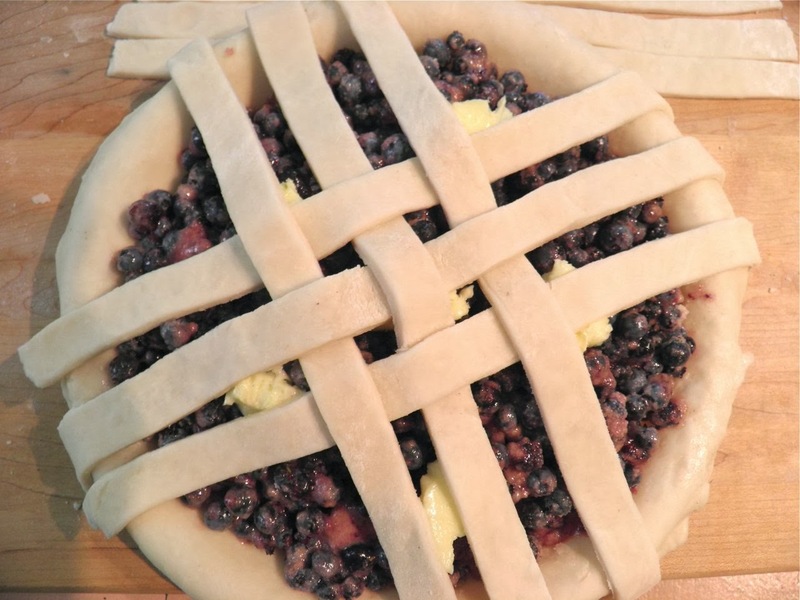 It’s about how to make a decent pie crust. This was brought about by Fb comments from a friend who feels they are a bit pie crust challenged. I was going to post an Indian spiced steak recipe. Oh well, another time. as opposed to under after trimming. Many excellent bakers break out in a cold sweat when confronted with the prospect of having to make a pie crust. That’s a real shame. It’s actually very easy. There’s plenty of things far more difficult. Try making a sabayone. Strike while the iron is hot, so the saying goes. 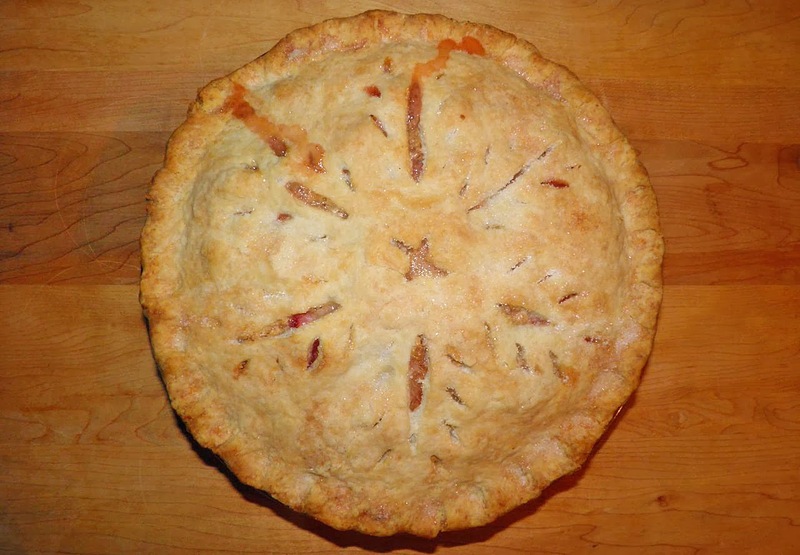 Now is the perfect time to reacquaint yourself with pie crust since this year’s apples are now in farmers markets. I have some on my table. Every time I walk by I smell them. Who doesn’t love apple pie? I pride myself on my pie crust. Sometimes I have a dud, but most times it’s flaky and pretty good (if I do say so myself). 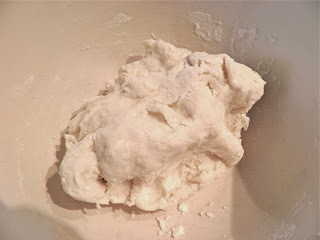 The trick is to just bring the dough together and not knead it until it's smooth. Rough dough is flaky dough. I learned that from my dad, who was an impatient baker. His always came out well. The first is what you would find in Fannie Farmer and most other cookbooks. The second I dug up somewhere else. It uses vinegar and egg. You can also substitute some vodka for part of the cold water. All trimmed and vented, ready for the oven. You can use three different sources for “fat.” Lard, vegetable shortening or butter. I find lard the best. Regardless, all three have to start off well chilled before cutting in. I find butter softens the fastest. You don’t have to have a pastry cutter, either. You can get an excellent result using two table knives and dragging then across each other through the fat – like crossing swords. The whole point of making a pie crust is making flakes. 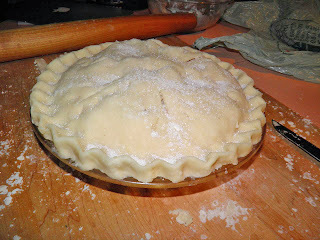 This is done by flattening out to paper-thin small pieces of lard in the flour as you roll the crust. Overworking it (or my dad used to say, “mauling”) is a bad, bad thing. Two things that will kill a crust? 1. Cutting in the fat too small. No pieces, no flakes. 2. Kneading it so much that the dough is smooth. Smooth means no pieces of lard. Remember those two simple rules, and you’re good to go. If you’re making an open single crust pie, use 3/4 of the recipe (1.5 cups flour, etc). Don’t ask me why, but it seems that is the rule. Before adding the wet ingredients. enough to bring it together. It must not be smooth. Make the crust by cutting the lard into the dry ingredients until the size of peas. Mix together whatever wet ingredients you are using. Stir into the dough with a fork until just combined. Then briefly use your hands. Do NOT force it together. It needs to be ragged. Any additional flour left in the bowl can be incorporated by using it on your board to roll out the crust. 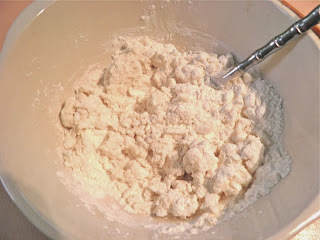 Chill the dough in the mixing bowl for 1/2 hour until ready to use. While that is happening, make your filling. 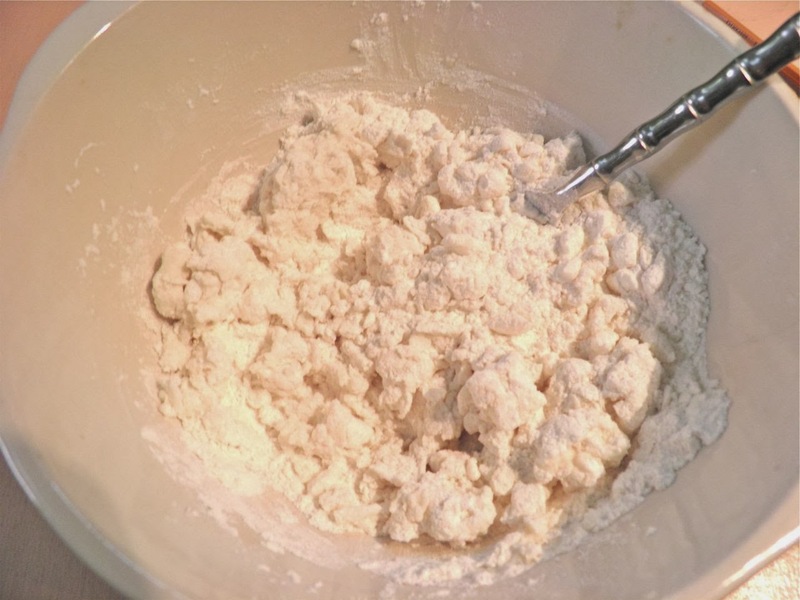 Divide the dough in half and roll out using enough flour so it doesn’t stick to the board. Line a 9” pie plate with half of the rolled pastry. Do not trim the edges. Let it hang over the sides at least 1” the whole way around. Add your filling. Bake according to the temperature and directions of your filling recipe. Let cool slightly before serving to allow your filling to set. Most fillings are thickened somehow and need that cooling time to firm up. *HINT: I cut six vents in the top of a strawberry cranberry pie. I found it very easy to cut along the vents to serve and the crust didn't break apart or collapse. Six vents equaled six slices. If you wish, cut 8 vents and divide the pie into that many pieces. This is a trick I will be using a lot in the future!